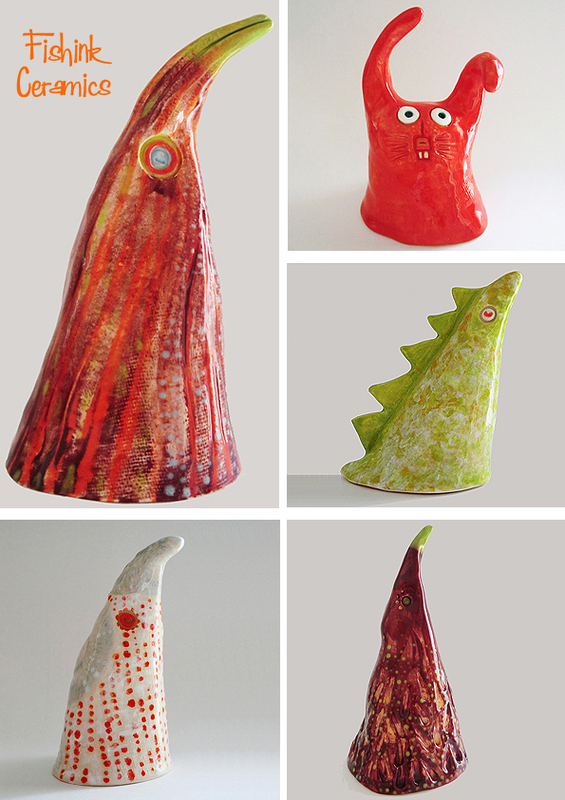 I have finally been able to pick up my newly fired ceramics… Yay! The glazes have come out a wee bit stronger and darker than I’d imagined, and I had hoped some of them would have been a little nearer to the unglazed colours as I liked their subtlety. But that said, I’m pretty pleased with them. This was the unglazed stage. 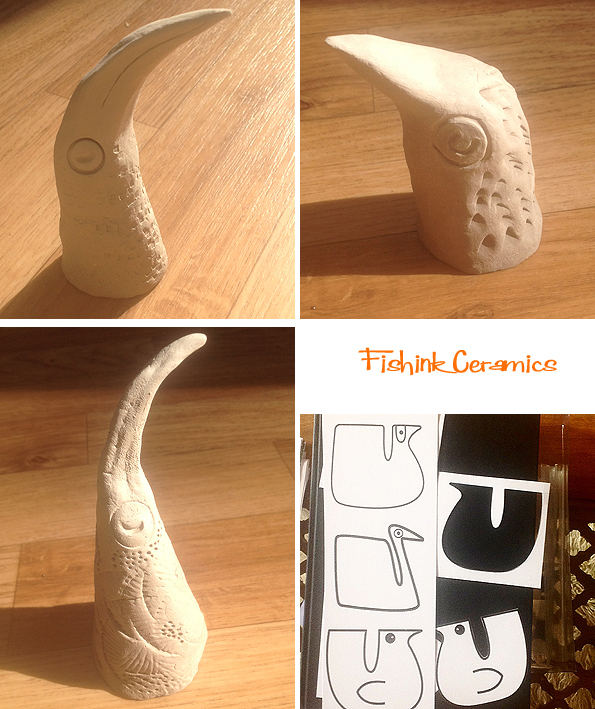 Whats more, I’ve reopened my Fishink Etsy Shop to sell them from. Please feel free to pop over, have a browse and spread the word to your friends and family, I’ll be adding more over the coming weeks so if you don’t see anything to your taste, do call back. Everything is made by hand and exclusively a ‘one-off ‘, i.e. no two items will be the same. 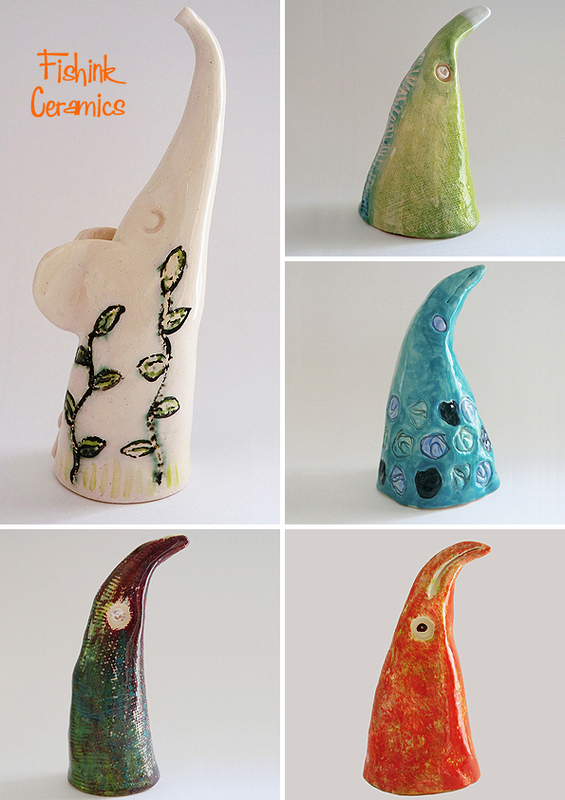 They are based on my quirky drawings and creative creatures and I hope you like them. Cheers Mel, well they’re the two most popular options today , good to know. The rabbit is definitely a bit of a crazy soul, I agree. Nice colors. My fave is the elephant. Will you be doing any bowls or things of that sort? Just had a thought… are we going to see a lovely Lurcher pointy face too?